Dental bridges are a wonderful option for those who are missing teeth. They are a great way to boost the aesthetic appeal of one’s smile and facial structure by mimicking a natural alignment of the teeth. Dental bridges are typically made up of two or more false teeth, which are called pontics. There are a variety of materials that can be used to make up the pontics of a dental bridge, however ideally and most commonly they are made from porcelain as this most naturally mimics the physical attributes of a real tooth both aesthetically and structurally. The traditional dental bridge is typically the most popular of the four types. It consists of one or more false teeth that are held in place by dental crowns. The dental crowns themselves are in place via cementation onto each of the teeth on either side of the mouth. This bridge is usually used when the patient has natural teeth on either side of the missing tooth. This type of bridge is quite similar to the traditional style, but it instead is cemented in by only one anchoring tooth. If you only have one natural tooth next to the missing tooth region this bridge is for you. This type of bridge is also similar to the traditional type in that it uses two anchoring teeth on either side of the missing tooth region. The difference is that the Maryland dental bridge is placed by a metal or porcelain structure that bonds onto the back of the anchoring teeth. This type of dental bridge uses dental implants instead of the crowns or other metal structures. 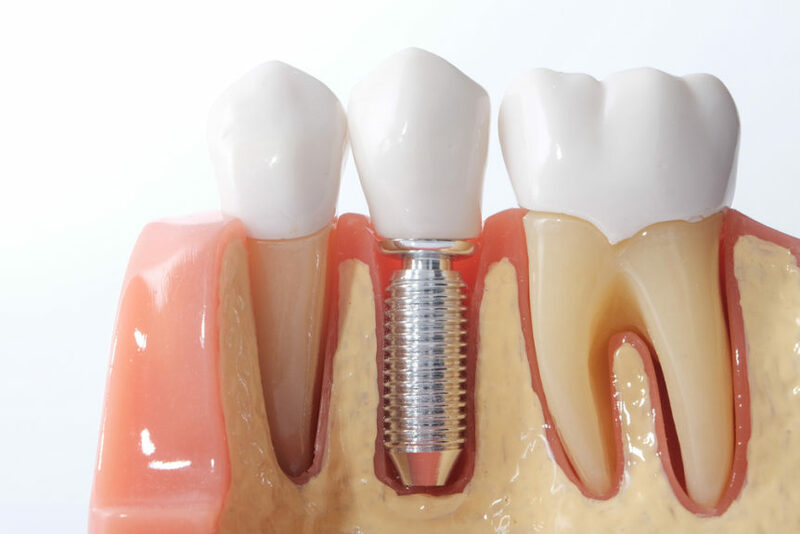 The dentist surgically places implants in the missing tooth region(s) and those implants help to hold the bridge in its position. The implant-supported dental bridge is the strongest and most durable of the four, although, it requires the most complicated procedure. What will a dental bridge do for you? Talk to your Las Colinas dentist about your options. He or she will be able to observe your mouth and smile in a consultation and help you to make the best decision in terms of placing a dental bridge. Our team here at Cosmetic and Family Dentistry will be happy to help. Call us today if you have any questions or would like to schedule a consultation.